As homeschoolers, we have the privilege and ability to choose not only what we study and when, but how it is presented. It is one of the main reasons we choose to continue homeschooling rather than enter our kids in to public or private school. As Christian homeschoolers, we choose to teach our children from a Biblical worldview, which means we choose curriculum that follows our Biblical values. 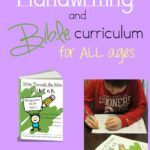 Since beginning our homeschool journey, we have found some great Bible-based curriculum that has worked well for our family – even if only for a time. 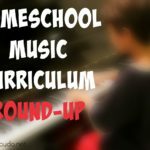 Some of our favorite curriculum we have only used for a year or two before we “outgrew” it, while others will likely be with us throughout our entire homeschool journey. 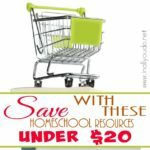 And some of them are new to us this coming year, but I was able to look through them at our state homeschool convention, and I’m beyond excited about using them. So of course, included them in our list! Mystery of History – We used this curriculum during our first couple of years homeschooling. It was probably my most favorite curriculum at the time and we loved it. However, after we added several more toddlers and babies to our family in the course of just 30 months, it wasn’t a curriculum that fit well with our family. It something I’m keeping on our shelf for possible future use though, because I just love it so much. I love that we can incorporate several subjects in one sitting. Notgrass – This is probably the newest curriculum I’m most excited about. As our oldest enters 6th grade this coming year, we really wanted a Bible-based history curriculum. When we found this one and were able to look through it, touch it and talk to someone about how it works and we were so impressed. I can’t wait to start using it when we start back up this year. Apologia – This is probably our most favorite Science curriculum of all time. We absolutely love the elementary curriculum, with Astronomy being our favorite. Each lesson is perfectly woven with a blend of Science and biblical facts to show just how God created everything and how science actually supports the information, rather than dispels it. 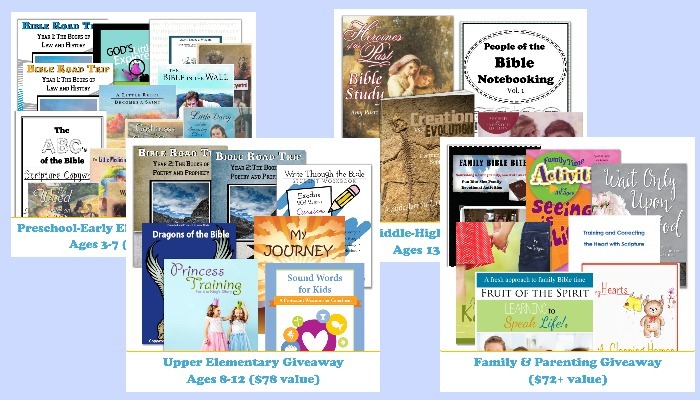 Christian Kids Explore – While we have not used this curriculum in our homeschool, I was able to review it a few years back. It is a wonderful curriculum that can be used with a wide range of ages. The Biology and Earth & Space were written specifically for 3-6 grades, but they can be adapted for younger children should you want to include them. Chemistry, Physics and Creation Science were written for 4-8 grades, but are not advised for students younger than 3rd grade. Wonders of Creation – This series is an amazing supplement to any science curriculum. There are 9 different books in this series and they can be used for upper elementary through high school ages! They are only about 80 pages in length each and range anywhere from 6-11 chapters or lessons, so they are not full curriculum, but can add more to the specific areas of study study. OR you can use them as stand alone curriculum and do more like unit studies. You can also get a printable study guide from Master Books to help give you an outline for the studies. God’s Design Series – This series is from Answers in Genesis and I absolutely love it. 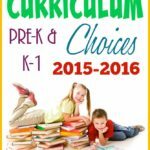 It is a full-curriculum with 35 lessons for each text. There is such a variety of texts to choose from (8 total) and is geared for 1-8 grades. Each lesson includes a read-aloud section followed by a hands-on activity to reinforce what was read. You can see each set and read more about them on the AIG Site. A Reason for… – We have used both the Handwriting and Spelling curriculum and loved them. They worked really well for our oldest who picked up reading and spelling early in his Kindergarten year. Our middle two have struggled with reading (and therefore spelling), so we have taken a different route for now, but I do plan on moving them to this curriculum if and and when we can. I love that each week the handwriting lessons focus on one verse that is used as the basis of each days’ lesson. Likewise, I love how the spelling curriculum coordinates with the handwriting lesson by utilizing the same verse each week. It also includes a biblical story with a lesson each week, that we loved reading and talking over together. Write through the Bible – This is another one of our favorite curriculums. We have used both the Write through the Bible and Write through the Bible Jr. in our home. I love that that Junior version can coordinate with the “regular” version so we could work on our handwriting lessons together. It is also a great way for the kids to work on learning larger passages of scripture at the same time. You can read my full review here. A Beka Readers – We used these with my oldest son and I absolutely loved them. Not only did they improve his reading, but they had great stories we used to help teach and discuss Biblical truths. The stories start out short for young readers and progress to longer stories as they get older. I like how they focus on one vowel sound in each story to reinforce what we are learning. These were great as he got older to help prepare him toward chapter books. 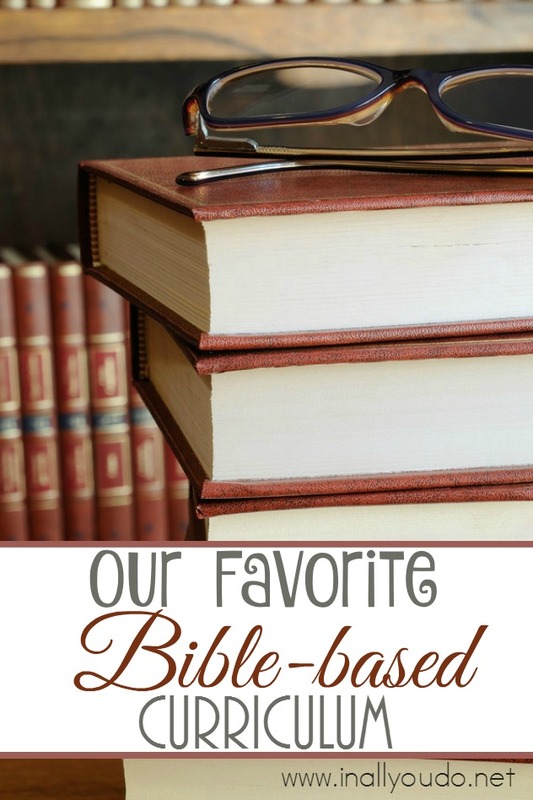 What are your favorite Bible-based curriculums? Have you ever used Story of the World? I’ve been trying to figure out if Mystery of History is more in-depth, so I can decide if we can use it. Thanks for all the great suggestions! Hi Sally. Sorry, I have not used Story of the World. I will say that I found MOH to be pretty in-depth and very heavy on the planning. I also thought it was a lot of reading for our learning styles. Otherwise, I’m afraid I’m no help.